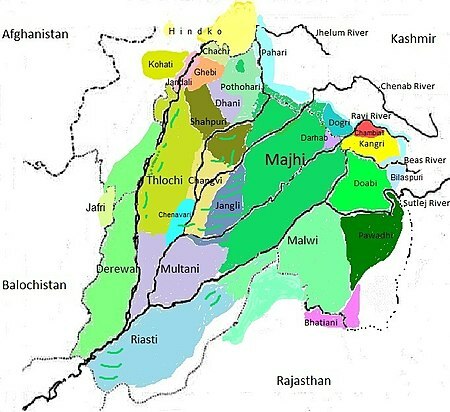 Gojri, also known as 'Gujari' is an Indo-Aryan language spoken by the Gurjars, or Gujjars of Northern Pakistan and the Republic of India. It is classified as a form or dialect of Rajasthani by the linguists. The language is mainly spoken in the Punjab provinces of Hindustan and Pakistan and also in Jammu & Kashmir, it is most closely related to Marwari and Gujarati. ↑ Hammarström, Harald; Forkel, Robert; Haspelmath, Martin, eds. (2017). "Gujari". Glottolog 3.0. Jena, Germany: Max Planck Institute for the Science of Human History. This page was last changed on 17 August 2018, at 17:52.